Music Licensing. Procedures and Guidelines. Music enriches our lives! Music licensing of compositions can be used in various forms, but always under copyright law: Adaptation, Recording, Reproduction, and Public Performance. A formal permit to use the music compositions you are interested in is absolutely necessary, if you want to stay out of legal trouble. Depending on the form of project, mechanical rights and synchronization rights have to be negotiated with care. The parties involved in the music licensing procedure include the songwriter, publisher, and record company (usually holder of the master rights). Song copyrights are held by music publishers (which may be the artist, but more often is a third party), while sound recordings (the masters) are controlled by record companies. 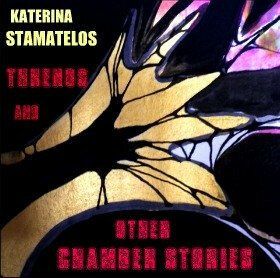 License Music by Katerina Stamatelos! In order to get a legal permit you have to get a "clearance." So what, exactly, is a Music Clearance? Simple: getting permission from rights holders to use music in your production. But what are these rights? The song's copyright is held by the writers (or the estate of the artists, or whoever was sold the rights). The master recording is held by whoever controls the recorded version of the song. Yes, but which version of the song? The one the songwriter recorded? The one recorded with German or French lyrics? The Jazz version? The one recorded by the rock band? It may sound slightly complicated, if you do not know what to do exactly! Music licensing follows exact rules which you have to master. Think about the following situation: you can get permission from the publisher without permission from the record company and you are fine if you record a new version of the song. But without the publisher's permission, the master recording license does not cover you legally. Description: Audio books, motivational tapes, audio guides, commercial podcasts, etc. Usage detail: music licensing allows you to use the music you have chosen in audio projects, such as books on tape, motivational tapes, audio guides for art exhibits, commercial podcasts. If your audio project will be publicly broadcast, you should get a "radio production" clearance instead. Description: Any media, arrangement, promo, (Not for sync with visual media). Usage detail: music licensing of compositions with the purpose to put out compilation records on media such as CDs. Description: Small commercial clearance for performance. In-House. Meaning for an in-house audience such as Licensee's personnel, job seekers and other types of on-site guests. This option provides a master use permit, a synchronization permit, and a limited mechanical permit for in-house use only. Licensee may make copies on any media necessary for distribution, exhibition and exploitation solely as it pertains to the use of the Track on an in-house basis. Business-to-Business. For a business-to-business environment, meaning for the display to or performance for actual or potential business clients, whether in an internal setting or an external non-public setting. This option provides a master use permit, a synchronization permit, a limited mechanical permit, and a right of non-public performance. Licensee may make copies on any media necessary for distribution, exhibition and exploitation solely as it pertains to the use of the Track on a business-to-business basis, NOT for use in products to be sold or given away. Public. General public viewing of the created production, or performance of the Track, is permitted at trade shows, theatrical performances and competitive performances. Licensee may make copies on any media necessary for distribution, exhibition and exploitation solely as it pertains to the use of the Track on a public performance basis, NOT for use in products to be sold or given away. Music licensing of this type comes in the form of a clearance option which provides a master use permit, a synchronization permit, a limited mechanical permit and a direct permit for public performance. Licensee does not have to pay performance royalties to any Performance Rights Organizations. Description: The Custom clearance type supports Place bid and Request quote inquiries. This gives sellers and buyers unlimited ways to negotiate the best deals based on their unique requirements. Description: Permission to Use Music For a Movie Production. Usage detail: This official permit is for any video or film project which will be shown in theaters. If your project will not appear in theaters, a "video" or "single units" permit is what you need. Description: Permission to Use Music for Video Game or other Software use. Usage detail: This clearance permit is for placing music in a game, or including music in a software program. Description: legal authorization to use music for Internet, Web site, Flash. Usage detail: This form of authorization is for music used on a web site, Flash or Java application on the web. Description: Music Licensing For Physical Recordings & Permanent Digital Downloads. Description: Music for Music compilation (CD, tape or vinyl). Usage detail: This clearance permit allows you to redistribute and resell CDs, DVDs or other media containing the entire song or an entire album. For example, this can be used to make a rebranded CD for sale in your store or through traditional CD distribution, or a promotional giveaway with your company's information on it. 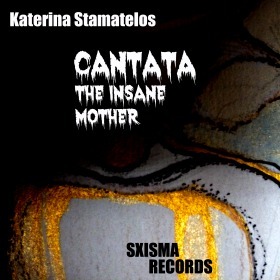 Description: Purchase song for digital download and personal use on your computer, iPod or other digital player means. Usage detail: Song may not be used for any commercial projects OR purpose unless you purchase a clearance for your specific intended usage. Description: Composition & sound recordings for embedded use. Usage detail: permission to use music in a toy or widget. Usage detail: This permit allows you to play an album of our music in a public space. These authorization permits are for complete albums or collections of songs. Please contact the Publisher to discuss which album or collection of songs you are selecting. Description: Permission to use music for radio advertising or radio show production. Usage detail: This type of music licensing is for music mixed into a radio advertisement or radio show intended for public broadcast. If you are not airing your production publicly, you need an "audio project" clearance. Description: Clearance to Use Music for Sampling & Remixes. Usage detail: This authorization permits allows you to use any number of audio samples from a song to create a new song of your own. You can also make remixes, mash-ups or other derivative works. If you use several samples from us in one song, you will only be charged the single-sample price. Description: Music licensed by number of units distributed. Usage detail: Use this type of clearance when you want to use music for a limited quantity of produced items, such as music to accompany a wedding or other event video, a promotional DVD for your company; any time you need music for a small quantity of goods and you prefer to pay by the unit. The "single units" permit is an popular alternative to the "video" or "music compilation" permits and is often less expensive. Permission to use music for slide show or Powerpoint. Usage detail: This type of permit is for adding music to a slide show presentation or a powerpoint document, or a similar kind of computer-based presentation. The finished product must not be available for sale: if you would like to place music on a product for sale, you need a video/cdrom license. Description: Multimedia software. All platforms, any use, commercial. Usage detail: permission to use music for a software program. Description: Clearance permit to use music for telephone systems, music on hold. Usage detail: This license allows you to play an album of ours through your telephone system (PBX) as music-on-hold, or any other use through your telephone system. These licenses are for complete albums; or collections of songs. Please contact the Publisher to identify which album or collection of songs you are selecting. Description: Authorized permit to use music for Television Advertising. Usage detail: This license is for music used in a television advertisement for public broadcast. Description: Music license for TV. Usage detail: This clearance type is for music used in a television production for public broadcast. Description: permission to use music For Video, DVD or CDROM. Usage detail: This legal permit is for any video, powerpoint, slide or film project which will not be shown in theaters, but may be sold. If your project has very limited distribution (ie, a wedding video) a "single units" license will probably be less expensive. If your project is a film appearing in theaters, you need a "film" license.